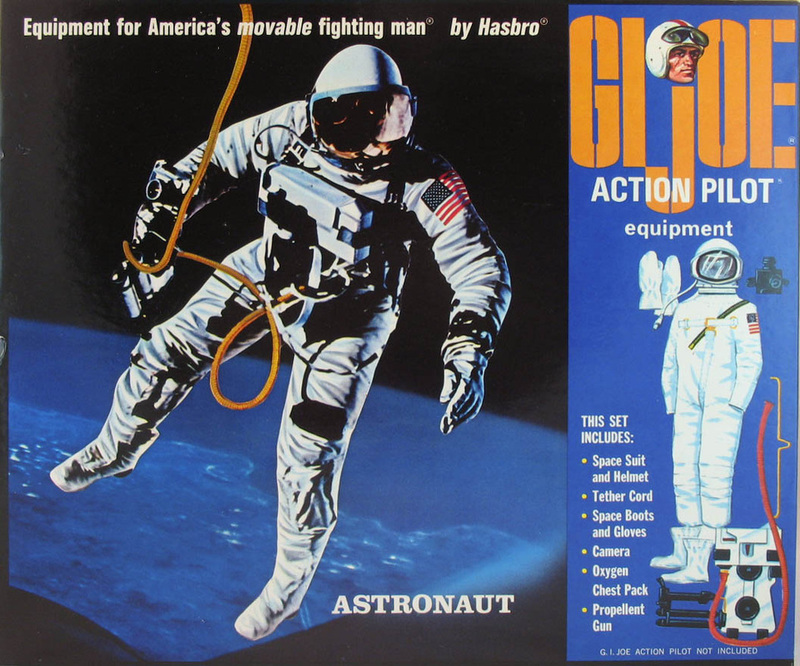 The Astronaut , who first appeared in the 1966 Space Capsule set got his own equipment set in 1967 (7824). 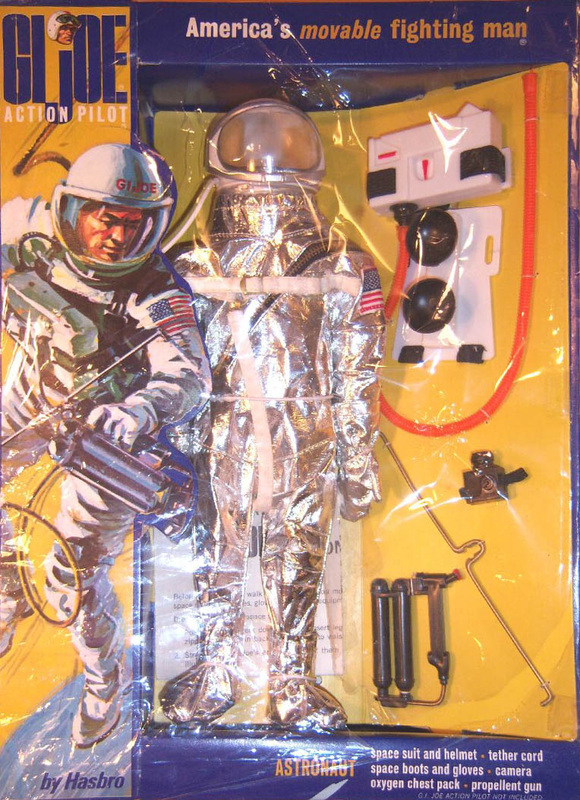 The '67-68 suit has two zippers compared to the three in the earlier release, and has a propellant gun to help him move around on space walks. Note that the back of the pack unit on the set in the spin above should have two suction cups. 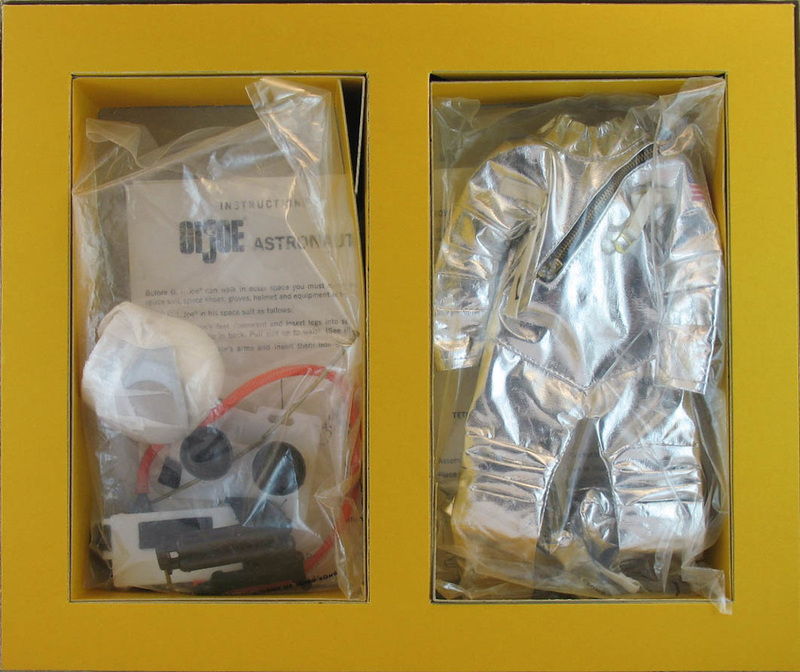 These would attach Joe to a window, wall, or refrigerator to simulate the weightlessness of space. This very rare 1967 window box appears courtesy of Dan Whitton, one of the top collectors in the hobby. Dan is a super knowledgable resource. He can be found selling both GI Joe and great vintage militaria on eBay. The 1968 photo box, above and below.